Green Comotion: Quench your thirst! My favorite thirst-quencher - Coconut Juice/Water!! It is a great electrolyte drink, sufficient for most activities, IMHO. While some favor sports drink with a higher concentration of sodium all the time while they exercise, I think drinking coconut water and eating some proper food while on a ride, might have some significant benefits. PS. 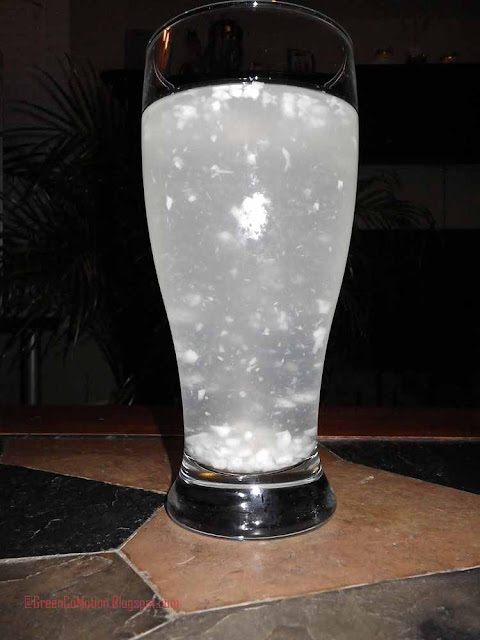 The white particles floating around in my drink are pieces of tender coconut. You can buy Coconut Wate without pulp too, if one wants to.